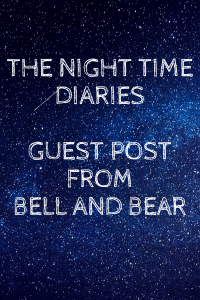 Next up in the night time diaries is Belle And Bear. 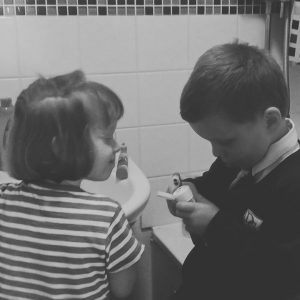 This is another new blog to me and it was lovely to read some new posts. I really enjoyed reading her post why I love Christmas it really did get me in a Christmassy mood. 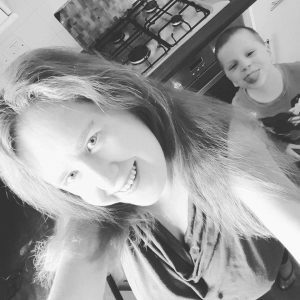 My Blog is a bit of everything from parenting to crafts. It is mainly based on my two children Bell and Bear.Bell is 3 years old and is becoming a very independent little lady and Bear is 5, he will be 6 in May, he is also very independent too. Our night time routine is currently changing as their bedtime was far too early .Which meant they were getting up at 5/5.30am. We are now moving bedtime slightly later which is great for me as I work from 5pm until 7pm Monday to Friday. So now I can get home to tuck them into bed. Whilst I am at work Hubs prepares the children’s dinner around 5.30/5.45. Then after that they can watch TV for 30 minutes before bath and a story by 7.30. We brought a gro black out blind when Bell was born as we stayed in a caravan. Which was very handy to have. When we got home we continued using it as it blocked out the morning sunshine. With Bear waking up at 4am most morning we would try anything and yes it worked! We also have a Gro clock which is very handy to have. As the stars vanish when it’s still night time and the sun pops up when it’s time to get up. It’s currently set at 6.30am, but once its school holidays I may change it to 7am. It also helps encourage little ones to stay in bed and get up at a nice time too. We have never co-slept as I am to fidgety and I would worry about squashing them. I also think if I wasn’t so fidgety I would of definitely co-slept as it’s a amazing thing to do if you can. They were both in cots to toddler beds, now they are in a normal bed. Which is handy when they are ill as then they come in to us and either me or hubs sleeps in their bed instead of a cot bed or toddler bed! Which yes I have slept in a toddler bed and it was very uncomfortable for me! We have been very luckily with both Bear and Bell in the early days. They both woke up at least once in the night from around ¾ weeks.Bear went through a horrible time sleeping when I was around 4 months pregnant. He would wake from 3am and stay awake or wake up 6 to 10 times a night wanting to play! I would gently rock or read stories until he went back to sleep. I love my sleep, I still do in fact, I would rather sleep than go out on a night out but don’t tell anyone! I find the whole waking in the night really hard. It was really hard being pregnant and Bear had a night when he was up all night and all day as he was really unwell but we got through it. It does get easier, most children have phases of not wanting to sleep, not wanting to go to bed, not wanting to get out of bed in the morning (I can not wait for this stage!) It does get easier. I don’t think I would’ve changed anything about how we did do night time.Perhaps thinking about it I would’ve made more of a effort for Bell and Bear to have a separate bedtime routine.As Bell won’t go to sleep in the bedroom if she knows Bear is in the flat, but other than that no I wouldn’t change anything. To any parent which is struggling, you will get through it.You won’t remember the sleepless nights.You won’t remember the battle to go to bed and the battle where they are so over tired that they are fighting it. It gets easier. You can read all the books in the world about how to get your little one to sleep, but you know what you and your child will find your own lovely routine in the end. And remember if your little one is awake at night give them a extra little cuddle because one day they will sleep through.One day they will be too big for those cuddles (well they think they will be!) It doesn’t and it won’t last forever even though it may seem it. What a lovely little poem I will keep this in mind for night times with Ava. 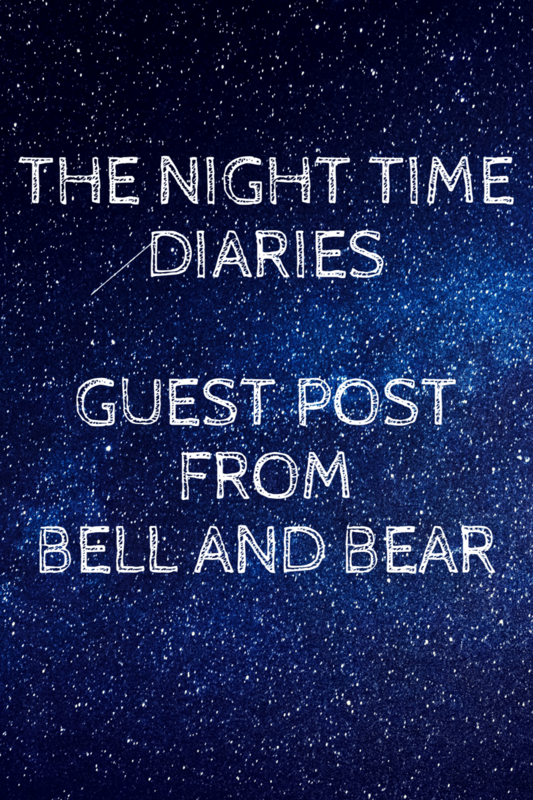 If you have enjoyed this guest post from Bell And Bear then check out her blog. Also make sure to pop over to her Facebook,Tiwtter and Instagram pages for updates.